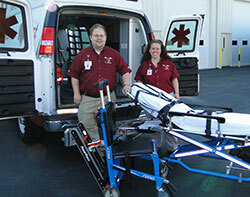 Hart to Heart brings many levels of health care and transportation services together and will continue to build and maintain these synergistic relationships for the satisfaction of our provider organizations, all while exceeding the expectations of each and every one of the clients and patients we serve every day. Our vision is to never settle for status quo, but to use the values we hold key to our success, and to constantly challenge ourselves to improve by continually reassessing our services and the quality of our products. "The vital link in community health care".